This is a very good and very short book. 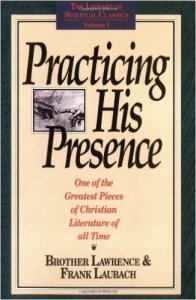 It is about one mans journey to spend a life totally devoted to staying in the presence of God even while dealing with life’s daily duties. For the pdf version, click on the link below. Be blessed.